WELCOME TO THE BOOK REVIEW'S MONDAY MUSICAL MOMENT! We all love music, so from time to time I will feature a book centered around music, fiction, nonfiction, memoir, or biography. 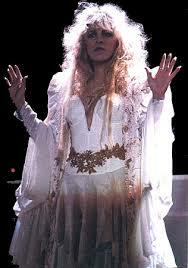 Stevie Nicks is a legend of rock, but her energy and magnetism sparked new interest in this icon. At sixty-nine, she's one of the most glamorous creatures rock has known, and the rare woman who's a real rock 'n' roller. Gold Dust Woman: The Biography of Stevie Nicks by Stephen Davis is a 2017 St. Martin’s Press publication. In the past year or so, I’ve read several rock memoirs and biographies with very mixed results. I swore them off for a while because I found myself losing respect for the artist, or because the biographer did a very poor job and I felt the subject deserved better. 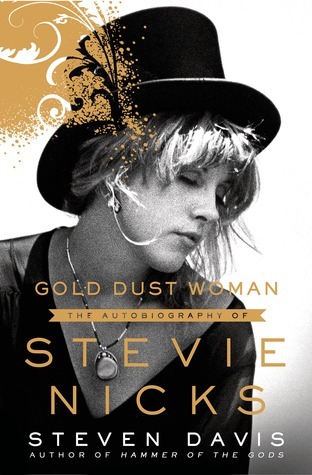 But, I’ve been a fan of Fleetwood Mac and Stevie Nicks since junior high, but Stevie has always been somewhat of an enigma, so I when I saw this biography, I caved and took a chance on this book. Some may view Fleetwood Mac with no small amount of disdain, feeling they represent the very picture of bloated, overproduced corporate rock. But, I don’t care. The first time I heard the Nicks/Buckingham incarnation of the group I fell hard. Ironically, it was a Christine McVie’s voice that made the biggest impression on me, not Stevie’s, and I still maintain she is a vastly under appreciated vocalist. However, when I first heard ‘Dreams’ I found myself grudgingly admitting that Stevie’s haunting vocals were deserving of the same respect. 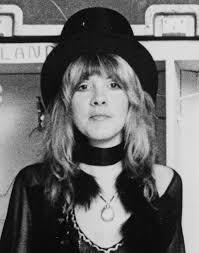 Over the years, and in between tours and reunions with Fleetwood Mac, I loved Stevie’s collaborations and duets with Tom Petty and Don Henley and instantly felt a vast appreciation for her solo material as well. So, it goes without saying that I loved the music. But, like many others I was also curious about Stevie’s well- crafted mystical aura, was captivated by her fashions, and mesmerized by her stage performances. But, Stevie’s personal life? Well, it’s complicated. Reviews of biographies and memoirs are hard for me to write. With a memoir I feel free to leave a personal opinion about the subject. The author has put themselves out there and can expect a bit of scrutiny, but with a biography, especially an unauthorized one, I feel it may be best to focus on how the biographer presented the material, if it was well researched and documented and if the author managed to capture the essence of his subject- or not. In this case, I felt the author did an admirable job of organizing the material, going in chronological order, offering insights into Stevie’s upbringing, her musical roots, and her journey to stardom. He did not put words in her mouth or attempt to analyze her feelings, and for the most part remained neutral, not allowing his personal opinions of Stevie to surface in his writing. There was only one occasion where I felt the author attempted to gloss over or sugarcoat the facts by avoiding certain key words surrounding a very personal and delicate situation. 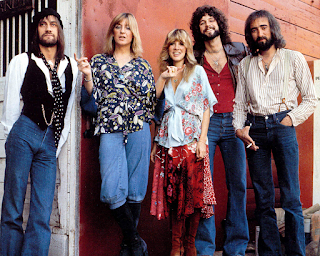 Watching it all unfold, it is easy to see the ways in which Stevie changed and developed over the years, going from Lindsey Buckingham’s protégé, to a headlining act, surrounding herself with top writers and musicians, taking center stage and owning it. I can’t say I would want that kind of lifestyle for myself. It sounds rigorous and lonely, and not at all glamorous, fraught with terrible pitfalls that wrought ghastly consequences. While there were incredible professional triumphs, there were also many pitfalls, and embarrassing lows, most of which are common traps in the life of a rock star. As with any unauthorized biography, you may find a few discrepancies, but, overall, I felt like the book was as true and honest as possible, and was very respectful to the artist. But, remember, Stevie's presence is notably absent, as is the case with many unauthorized bios. Overall, I was pleased with how the biography turned out. Stevie Nick’s musical achievements are balanced with her interesting history and personal life. I don’t know if I got a real feeling of true happiness or contentment from Stevie, or if the book captured Stevie's spiritual essence, at all. It seemed as though she was always working, working, working, or going through a personal crisis. I think her thoughts these days tend to lean more towards resignation and acceptance, which does seem to give her a measure of peace. Her journey has been a fascinating one, for sure, and she’s still out there surrounded by that trademark mythical aura, performing and working regularly, even as she approaches her seventh decade. This book did have some little known facts and some information regarding early television appearances I don't remember after all these years, and reminded me of all the great FM songs I never stopped listening to, and passed down to my own kids, as well as the many solo hits Stevie had. Alexa/Echo has been ordered to play a lot of Fleetwod Mac the past few days. 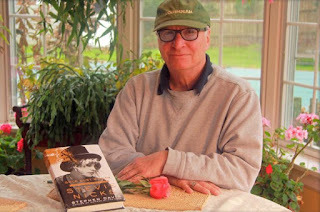 Steven Davis is an American music journalist and historian. Davis was born in New York City and attending Boston University. Davis has been described 'as perhaps America's best-known rock biographer'.